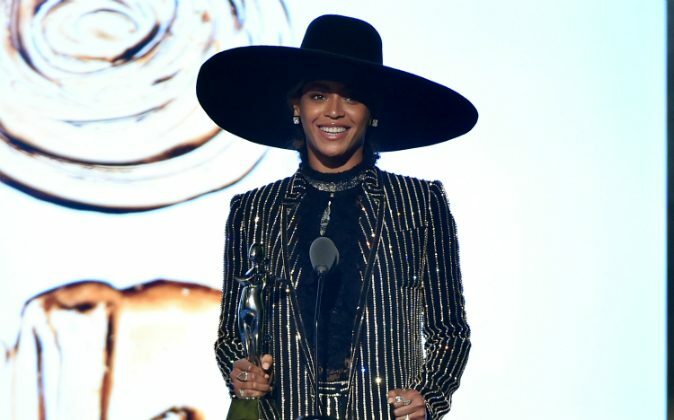 Beyonce was honored with the Fashion Icon Award at the 2016 CFDA Fashion Awards on Monday, June 6. CFDA President Diane von Furstenberg presented the 20-time Grammy winner as the CFDA Fashion Icon winner. Beyonce recalled the time her mother and uncle sewed the wardrobe for the foursome. Knowles, dressed in a pinstriped Givenchy suit, a wide-brimmed black hat and Lorraine Schwartz jewelry was supported by her mother, husband and rapper, Shawn ‘Jay Z’ Carter and the couple’s four-year-old daughter, Blue Ivy, who all sat in the audience. Musicians Rihanna and Pharrell Williams are previous winners of the Fashion Icon Award in 2014 and 2015, respectively. Beyonce is currently on the Formation World Tour and will be in New York City on June 7 and June 8.